The first time Lloyd Morrison saw the land upon which he would eventually build Morrisons Lodge he knew it was special. Uniquely situated on a peaceful bend of the famous Rogue River, Morrisons has been hosting anglers, couples, families, and other adventure seekers for more than 70 years. The secluded property feels miles from everywhere but is truly only a 20-minute drive from civilization. Enjoy the comforts of home in your lodge room, cabin, or private “tuck-away” accommodations. Kitchenettes and full kitchens are available. Or, indulge in the 4-course dinner Morrisons is known for. Then go for a stroll along 5-acres of riverfront lawn, kick back by the fireplace in the great rooms, or make friends in the bar. All ages will enjoy a multitude of activities on the Morrisons grounds. Indulge your athletic side in the outdoor pool, or on the tennis, basketball, and volleyball courts. Maybe, try your luck at Frisbee golf or horseshoes. Bicycles are also available. With so many options Morrisons is an ideal spot for family reunions, conferences, and other events. Ask us about our special packages. 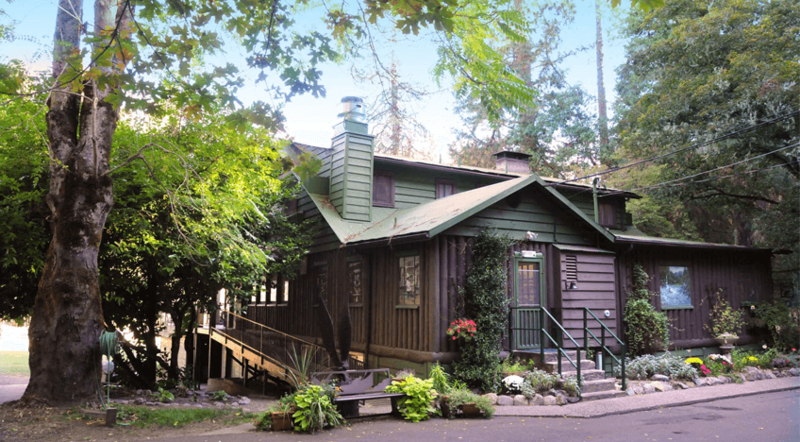 For additional information, please call (800) 826-1963 or visit: Morrisons Rogue River Lodge.